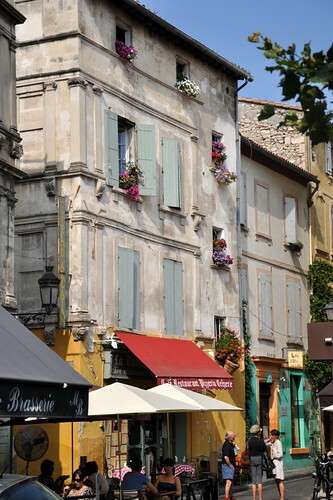 Arles (pronounced without the s) is a provencal town that is listed as a UNESCO World Heritage Site. 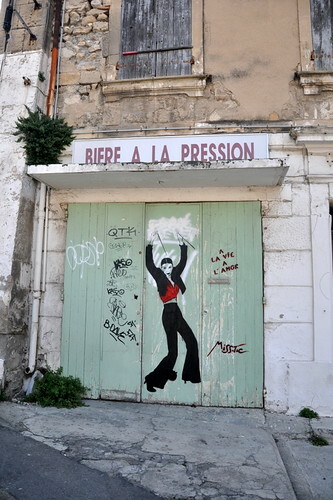 Arles is the town that inspired many great artists. 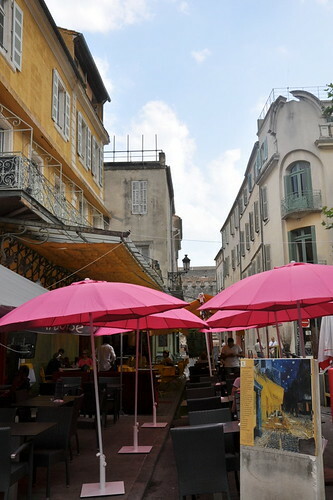 Vincent van Gogh painted his most famous paintings there: Starry Night (actually painted in St Remy near Arles), Irises, Sunflowers, The Cafe Terrace At Place du Forum, Bedroom in Arles, Yellow House and nearly 300 others, which means he painted nearly everyday in the 15 months that he lived in Arles. Arles is where van Gogh ran to from Paris, hoping to set up an artists' community, and is also where van Gogh famously left a part of his left earlobe after a fight (van Gogh was beginning to loose his mind by then) with another great artist, Paul Gaugain, who moved to Arles at the invitation of van Gogh. I love van Gogh paintings (did you know that he did many versions of the same painting, for example, Sunflowers, The Cafe Terrace etc) and can't decide between him and Picasso. 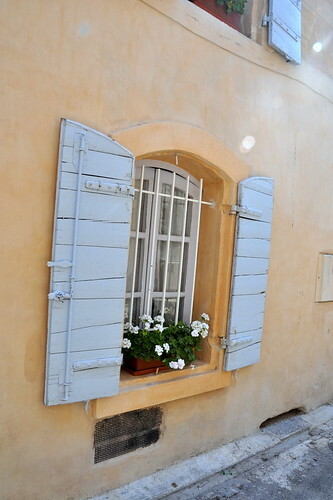 So to visit the town where van Gogh produced most of his famous paintings was a highlight for me. That the town didn't love van Gogh during his time is evident. The yellow bedroom where he lived and painted (we missed this painting at the van Gogh museum in Amsterdam because it was travelling and guess what? Yi saw it at The Netherlands pavillion in the Shanghai Expo) was destroyed during WW11 and the cafe in the famous cafe painting is disrespectfully kept and unrecognisable. 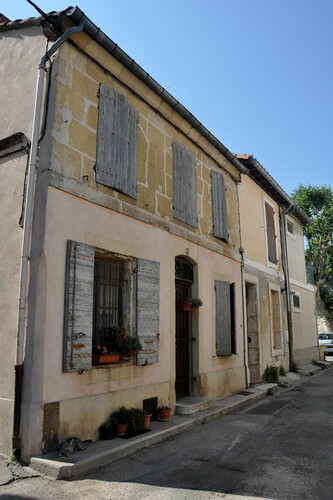 Arles really is all about van Gogh even if they rejected him as a mad man and prefer the town to be known for its scenery and landscape. My opinion anyway. van Gogh was Dutch, by the way, and not French. 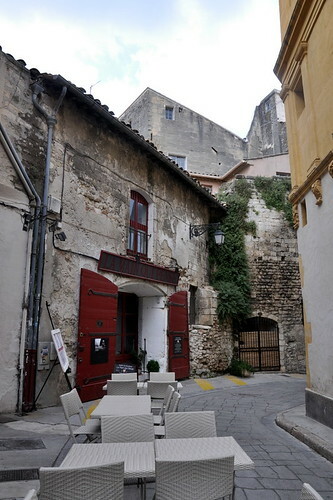 Arles is absolutely interesting and pretty. The people are very friendly (we made friends with a pretty young taxi driver who was extremely helpful and hospitable. Why are French women so petite and beautifully proportioned?) 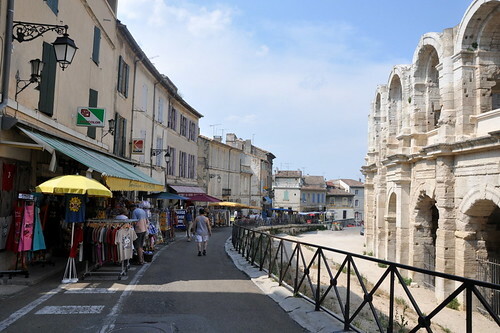 If I go to Arles again, I'll rent a car and drive around the surrounding farms and countryside. I'll visit the house van Gogh rented in the suburbs and the Langlois Bridge he painted. I may even draw the sunflowers they grow in the area. 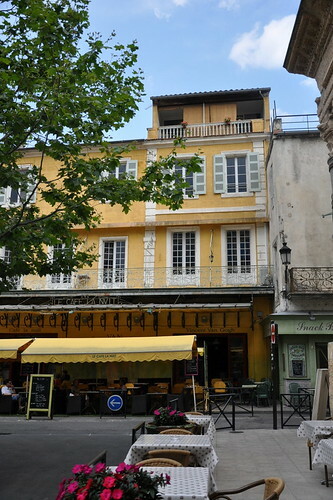 Notice that van Gogh used a lot of yellow in his paintings drawn in Arles? 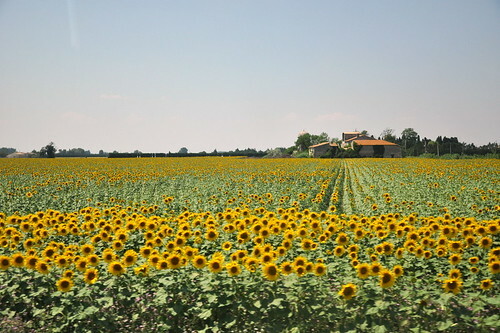 The sunshine and the sunflowers influenced his use of bright colors. 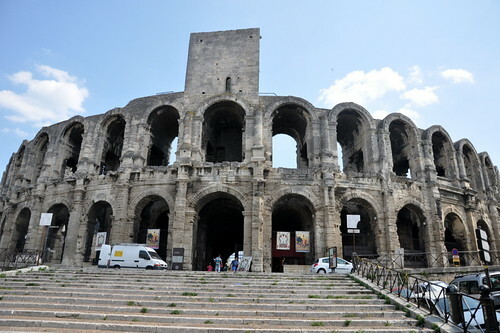 The Arles Amphitheatre was built in the 1st century when Arles was under the Romans. 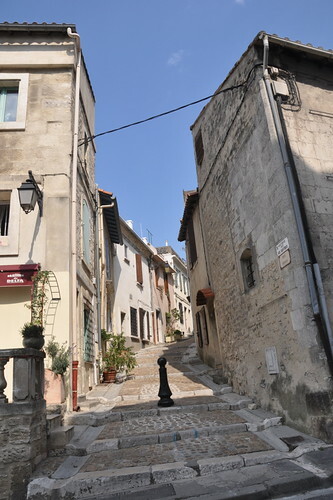 The amphitheatre is surrounded by shops and streets, making it fun and easy to tour the area. 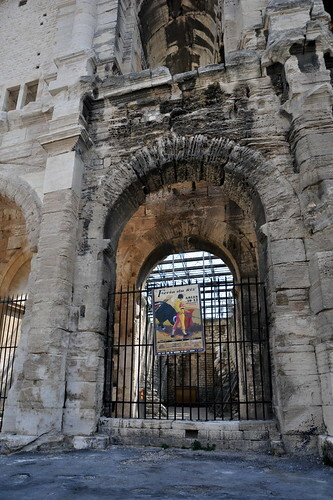 Bullfights and concerts are still being held in the amphitheatre, more than 2000 years after construction. The Spanish influence is evident too and paellas are common items on the menus in Arles. 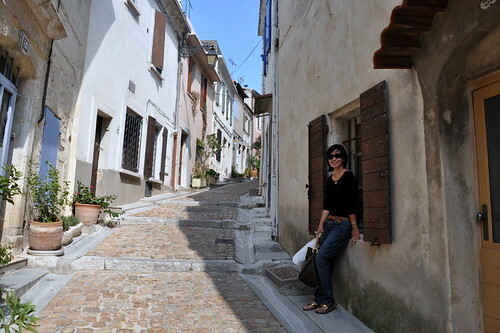 Little streets that lead off from the amphitheatre, so pretty and quaint. 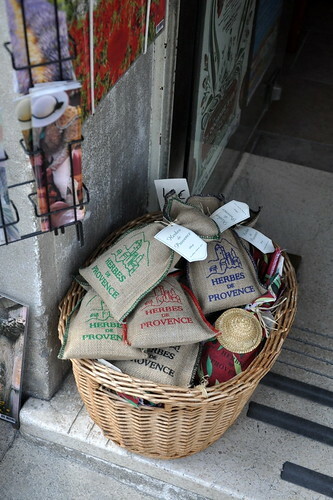 Souvenirs sold include provencal herbs and lavender. I remember it was a HOT day and I didn't have any summer dress or shorts, unlike all the ladies in the south of France, Spain and Italy that time of the year (June). I sweated like, well, a pig. One of the disadvantages of travelling light (I'm the lightest traveller I know) is you end up wearing the same clothes nearly everyday, or you borrow your daughter's and look like a goat dressed as a lamb. 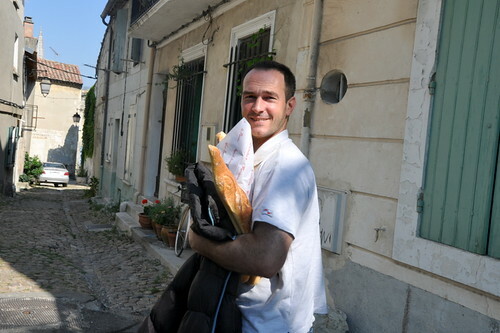 We asked for directions to van Gogh's room (sadly, it doesn't exist anymore unless you want the fake room) and this guy, armful of baguettes, left his car and led us along the small streets to the van Gogh Foundation building. Ah well, we at least pronounced van Gogh right even if he didn't understand what we really wanted. How do you navigate a bend in these roads? You just bull-doze through. A free shuttle mini bus takes you around the city because the roads are too narrow (note the walls of the buildings on both sides). 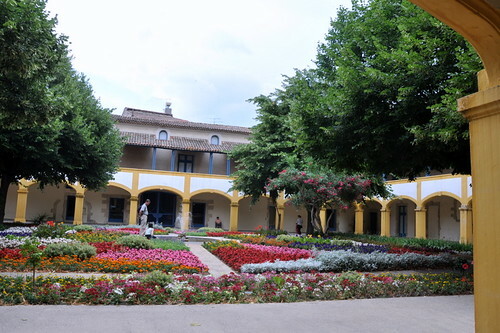 The mental hospital where van Gogh was admitted to is no longer in use. It is well-kept but has a sad aura. Guess the place. How about a different angle? 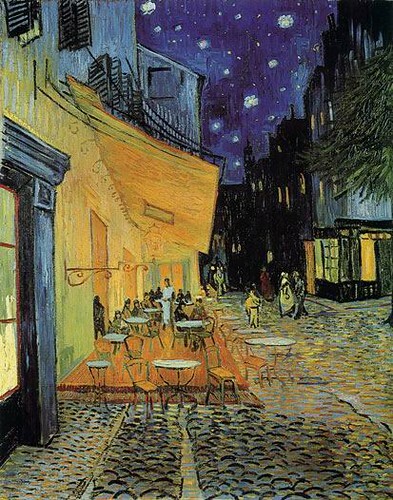 I couldn't believe that this was the exact same spot that van Gogh painted The Cafe Terrace. That's a scene of France that non-French like me romanticise and dream of, but those scenes have disappeared. It's completely different now--they didn't even keep the cobblestone, which is strange because most of the streets are cobblestoned. The only things that are same are the balconies and the yellow awnings. 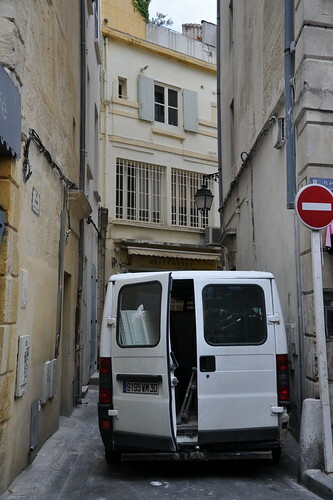 Note the cement plaque where van Gogh had his easel. Beautiful place, will definitely do a trip here on my next visit! Using RentalCars you can find the cheapest car rental from over 49000 international locations.